TABLESIDE - Firm and refined flavor. 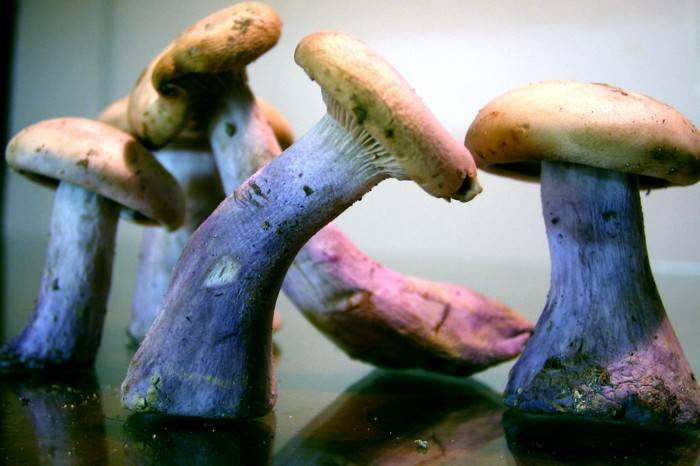 THE SHROOM - The Bluefoot is a cultivated version of the Wild Wood Blewit. Blue Bluefoot concentrates a lilac color mostly in the stem. The Bluefoot has a great natural flavor and a very light texture that can be described as Velvety.